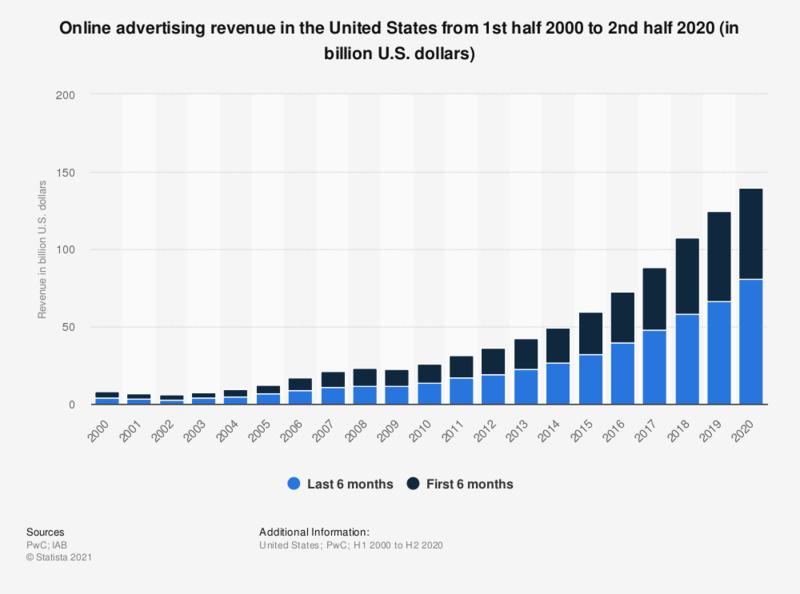 The statistic above shows online advertising revenue in the United States from 2000 to 2017, broken down by half-year. In the first half of 2017, online advertising revenue in the United States amounted to 40.1 billion U.S. dollars. Here you can find the quarterly development of the internet ad revenues. Figures for the period 2000 to 2005 come from earlier editions of the same report.